I will never forget the first time I took my then 4 year old daughter to her very first performance of The Nutcracker Ballet. The huge smile on her face and the sparkle in her eyes when the dancers took the stage are still fresh in my mind. She twirled and danced through the grocery store when we had to make a quick stop afterwards and frequently talks about performing in the ballet herself one day. Seeing the Nutcracker Ballet during Christmas is something I look forward to each year. I remember being captivated by it as a child and it’s fun share the experience with my own children now. We don’t typically take a long Christmas break in our homeschool during the holidays, but I do like to change our learning up a bit. Using The Nutcracker Ballet is a great foundation for studies during Christmas. 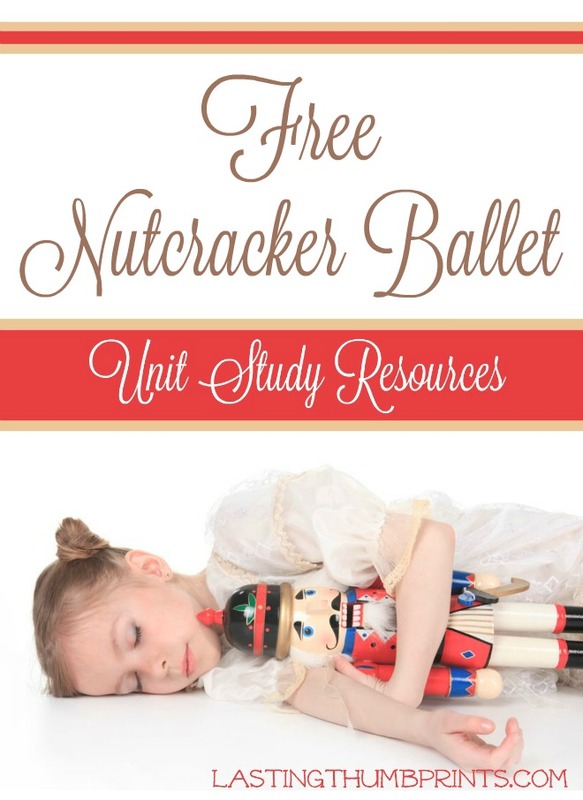 I’ve had a lot of fun collecting free resources to create our own Nutcracker Ballet unit study and thought I’d share them with you. There’s no way we’ll be able to get through all of these great free resources this year, but I’ll have it all in one place to pick and choose from each year as my children grow. You’ll find a variety of free Nutcracker resources for children in PreK-12th grades. I’ve already learned more than I ever knew about this classic ballet. 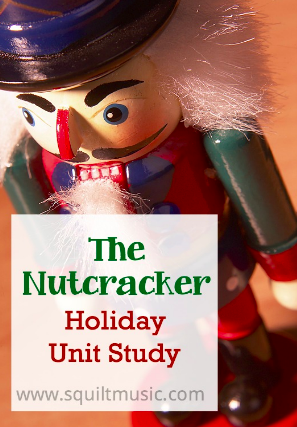 You may also be interested in this Nutcracker Unit Study from Homegrown Learners. This unit study isn’t free ($6), but it includes: notebooking pages,listening links, ideas and links for art projects, and biographical information, and more! I can’t wait to dig into these goodies with my kiddos. They really enjoy the story of the Nutcracker and I think will have lots of fun with it. 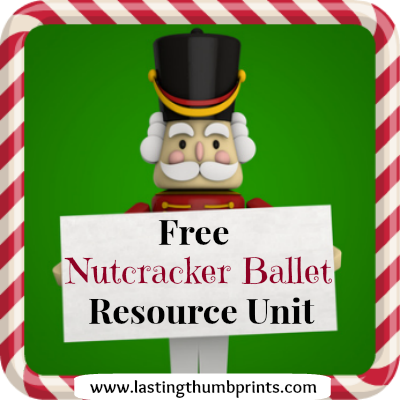 I hope you found something useful as well in this free Nutcracker resource unit! If you don’t want to miss any future homeschool resource units, you can sign up for free email updates here!